I Need Help Figuring yards???? Thread: I Need Help Figuring yards???? It might help if you gave the pattern, sometimes a visual really gets the brain going. Right, the block is "Celtic Twist Block"
Ok if your quilt is 60 x 60 with 12" finished blocks that is 5 blocks each way for a total of 25 blocks. 30 blocks would make it 60 x 72. Unless you are planning to put 5 blocks on the back? Do you have graph paper? That's an easy way to plan out how to cut your fabric to get the best fit. I get "quadrille" paper in the office supply section. Often you can get quite a bit more on your fabric when you do multiple blocks alike than when you do a single block. So you may not actually need 25 - 30 times the amount for one block. 5 pieces of 1/8th of a yard equals 5/8ths of a yard plus a quarter of a yard equals a yard and an eighth for one block? The sizes she has given for that one block are probably due to the fact that one can't buy the fabric by the yard (not talking about specialty cuts -- fat quarters, layer cakes, jelly rolls, etc.) cut smaller than 1/8 yard in most places. The designer assumes one will be making more than one block, likely with different colors but same background in most blocks. A 60" x 60" quilt probably won't use more than 2.5 yards all together on the front. 60x60=3600 sq inches of fabric, minimum. 3600/40In wide =90 liniar in = 2.5 yd minimum. If the same proportions as each block are given to the fabrics you'd need 3/4 yd background, and 3/8 of each of the 5 colors. I'd increase it to 1 yd background and 1/2 yd of each of the 5 colors. Cut it out immediately to see if that was enough so you can go back to the store for more. I'm glad you got the help you needed. Way over my brain's ability. Lots of knowledgeable people on this board. Lots are willing to help when they can. Hey it was your turn for the brain freeze! Mine was the night before. Lol! I just wanted to say Thanks, again....I LOVE THIS BOARD AND THE PEOPLE ON IT. Just wanted to thank you didi for introducing me to this block! Just made one out of batiks and except for my choice of fabrics for one of the colors (not enough contrast with the strip next to it) I love how it came out. Going to try it again with a different purple. Here's a picture of the one I just did. WoW!!! I love the colors....haven't started mine yet...I'm doing a lap quilt for my little sister. was it easy to match the seams?? Yours looks good. It went together amazingly easily. Since I've been sewing a good bit in the past few months I think my seams are getting more consistent so things work out better than they used to. I know for awhile I had gotten very lazy in my hurry to get costumes made on a deadline and wasn't paying much attention to precision so when I started quilting my first few things were anything but accurate. When I make a quilt without using a pattern and I need to know how much to use, I LOVE my all in one reference book (published a number of years ago by Alex Anderson, Harriet Hargrave et al). There are charts that will give yardages needed for squares, rectangles, etc. Didi - I've been making clothes since I was a teenager. Sat on my mom's lap as a tiny wee one while she hemmed cup towels. Made lots of my family's clothes when the kids were younger. Even matching leisure suits for DH and the boys at one point and matching western shirts a year or so later. Made all their costumes for everything once they were in school, then when we got interested in Renfaires, even more costumes. Now I'm mostly doing quilting. Although DD has requested that I think about making a friend a kilt before TRF in Oct. Have also been hemming draping for our booths at faire. And I wonder why I don't get as much done on any of it as I want to!!! All-In-One Quilter's Reference Tool by Harriet Hargrave, Sharon Craig, Alex Anderson and Liz Aneloski. Sorry about the underlining. I can't reverse it for some reason. It was published in 2004. It should still be available. 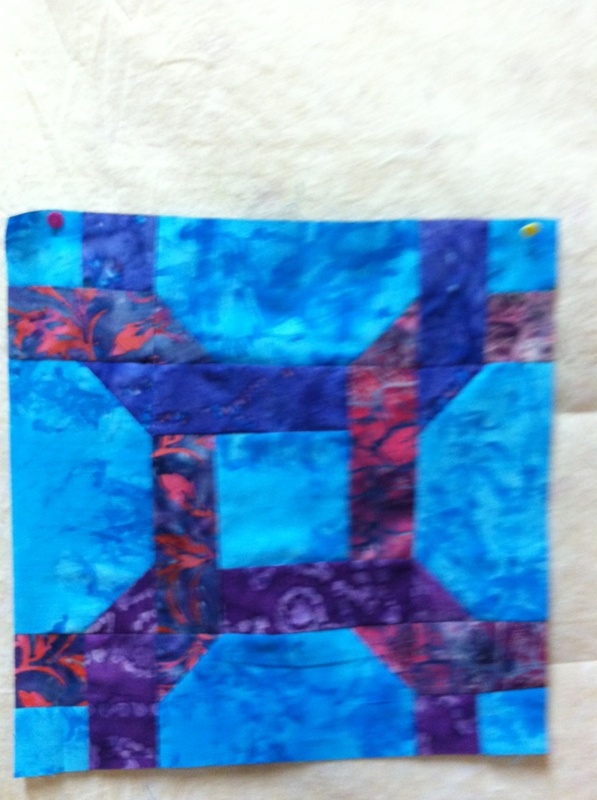 quilttiger, thanks so much, will see if i can find one of the books. Can't help you with the underlining. you might try clicking the u with the underline, like above this message. i think when you click one of those buttons and use it, you have to click it again to take it off. Does that make sense??? ?